According to Natural News, around half of these children are four to five years old and an incredible 274,804 of them are younger than a year old. That’s right: babies are being given psychiatric drugs. The number rises for toddlers aged two to three, with 370,778 kids in this category taking psychiatric drugs overall. If this isn’t horrifying to you, congratulations on your brainwashing. 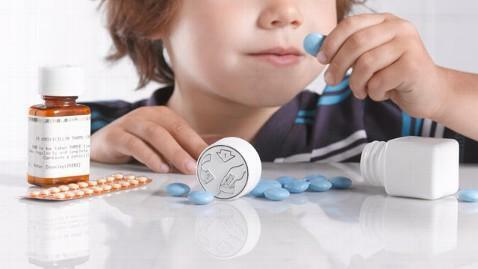 The biggest category of psychotic drugs given to children appears to be anti-anxiety drugs. Just over 227,132 babies under one-year-old and nearly 248,000 of those aged four to five take these medications. Again, babies are being given mind-altering drugs before their first birthday. But the news just gets worse from there. Experts believe these estimates are far too low and the real numbers are actually much higher, due in part to the tendency for some doctors to hand out psychiatric medications for “off-label” uses. This risky practice entails giving out a drug to treat something that it is not indicated for, and the long-term effects of such an approach are completely unknown. Is this a war on our children perpetrated by Big Pharma and condoned by the government? Maybe. Nothing seems impossible anymore.